Winter is not always the easiest time to be inspired by your garden. It is however the perfect opportunity to plan and start your outdoor projects to be ready for the warmer months! 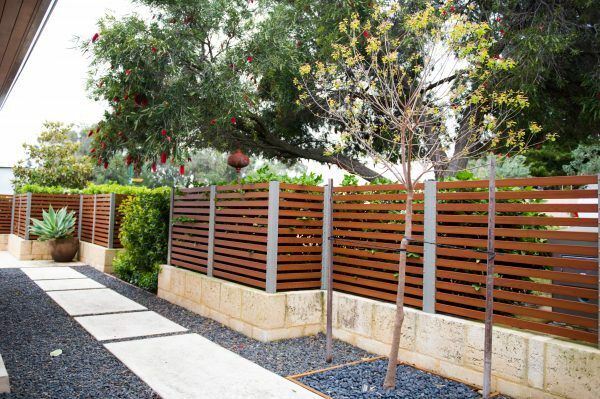 Today’s guest post comes from Ricky Hee at Fencemakers with some great ideas for your landscape. Are you looking to add space to your home without a major remodel project? If so, then consider how a few improvements to your outdoor living area can do wonders for the overall look and feel of your home. Springtime is just around the corner here in Australia, so it never hurts to start planning your outdoor projects sooner than later. 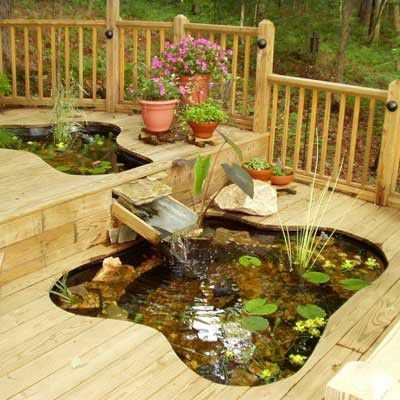 Here are some great outdoor living ideas for spring / summer 2014 that you can consider for outdoor reno project. Over 94% of people asked in the ASLA 2014 Residential Landscape Architecture Trends Survey agreed that having a beautiful patio is a top feature for any outdoor renovation project. Because this feature is in such high demand, it’s certainly a fixture that you should invest in for your house as it will obviously boost your resale value down the track. Therefore, it doesn’t hurt to add a bit more love and care during the creation process. To do this, avoid going for a simple or standard design. Instead, opt for a patio that is full of life and character. A patio or deck with an open layout will allow you more space to entertain guests and enjoy the Australian springtime and summer. As great as a patio is, it can be a challenge to get back and forth between your guests and the kitchen when having a cookout. Well, adding an outdoor kitchen will resolve that issue. Outdoor kitchens have seen a huge increase in popularity in recent years and now are rated as high as 94.3% for popularity according to the ASLA survey. 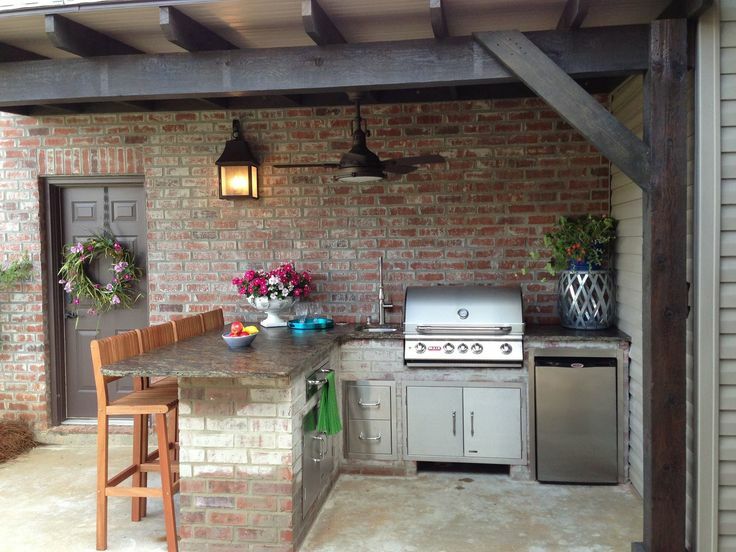 To make your outdoor kitchen everything you could ever want, include a kitchen, grill and room for entertaining guests. 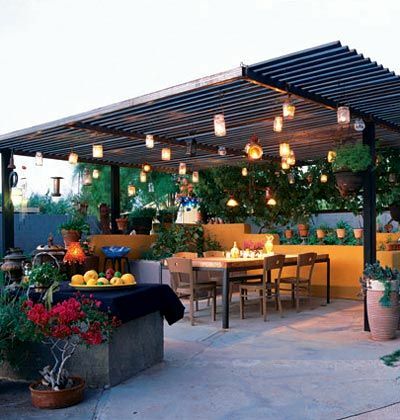 If you plan it right, your kitchen will look great when combined with your outdoor patio. In order for you to truly enjoy your outdoor living area, you’re going to want to make sure you keep out unwanted guests and visitors and the prying eyes of overzealous neighbours! The best way to do that is with a stylish fence. Smartwood slat fencing in particular is proving increasing popular this year for its modern and sleek look while still giving the traditional timber look (albeit with the benefits and durability of aluminium!). Over 88% of people say they plan to add outdoor security options to their springtime building plans this year. Not only does a fence add security for you and your family, but it also provides for a more secluded feeling while you are lounging around in the backyard in just your bathers! Whether you are someone who enjoys swimming around in the pool or you simply listening to the peaceful sound of running water while reading a book in your backyard, adding a water fixture to your backyard is also another highly attractive springtime addition. According to the ASLA survey, waterfalls and smaller pools are desired by 86% of people, spas by 76%, and larger swimming pools by nearly 74%. The beautiful thing about a water fixture is that you can likely run it throughout the year in Australia, as long as you properly maintain it. As for the design and decoration that you choose, there are a variety of options, ranging from elaborate and detailed, to more simple and minimalist. Whatever the choice may be, you’ll be sure to enjoy cooling off in the water during the hot Australian summer. If you love fruits and vegetables from the store, then you are going to love the idea of being able to pick your own food choices from your very own garden. Luckily, as will be touched on here in a bit, a garden doesn’t take as much effort or work as one may first assume. Instead, all you have to do is plant your garden in the early spring months and you’ll notice that it flourishes with the right amount of attention and care. Farmers markets are great, but there is nothing quite as enjoyable as eating something that you planted, grew and harvested on your own. Whether it’s the lights that surround your patio, the water that flows through your pool or the plants that are growing in your garden, your outdoor living space should be easy to use. After all, you should be enjoying your living space, not spending all of your time just working on it. Because of this, consider the sustainable living options that you can include in your outdoor living space. Whether it’s solar panels that keep the patio lit or recycled materials that you use to feed your garden, there are plenty of options to consider. You’re going to love the look of your new outdoor living area. Just consider any, or all, of the options listed here and you’ll be enjoying this spring and summer like never before. Ricky Hee is Managing Director of Fencemakers, a leading provider of Gates and Fencing in Perth, Western Australia. Find Ricky on Google+.